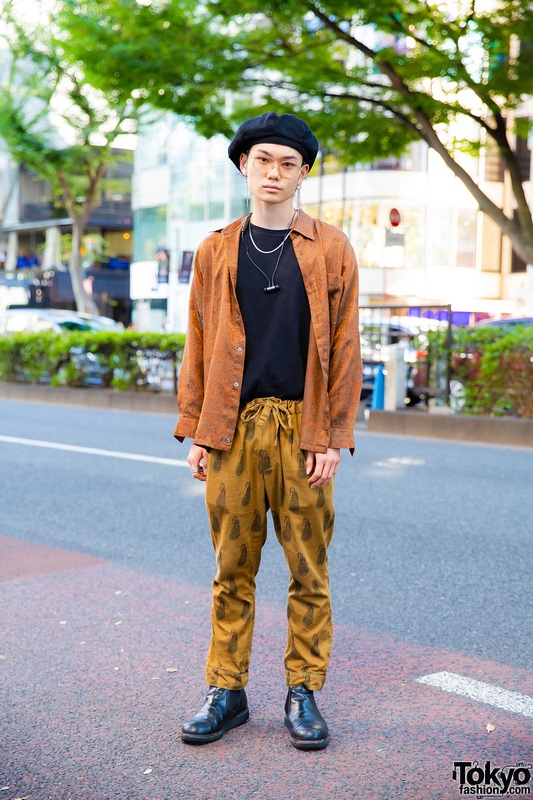 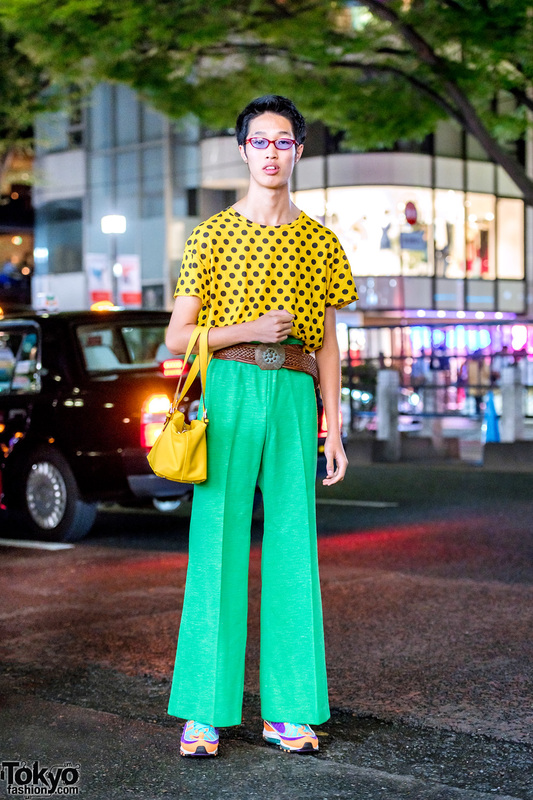 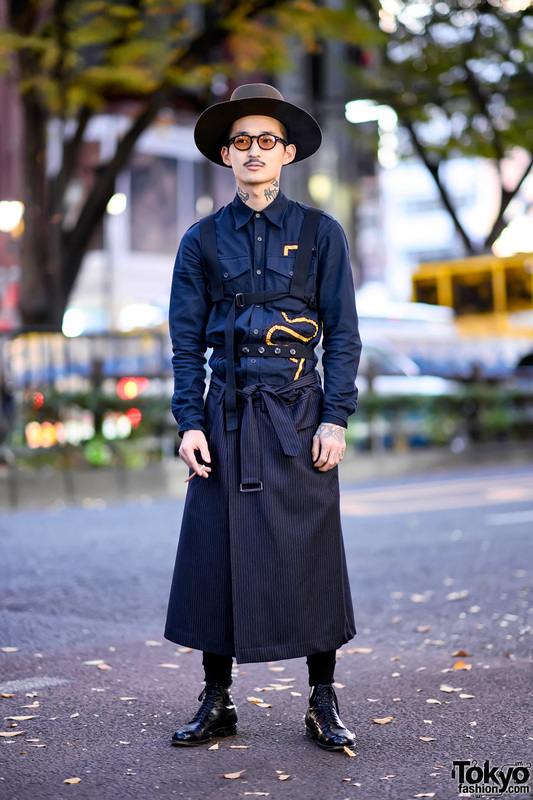 Harajuku guy wearing a patterned shirt, printed pants, a black beret, and black boots. 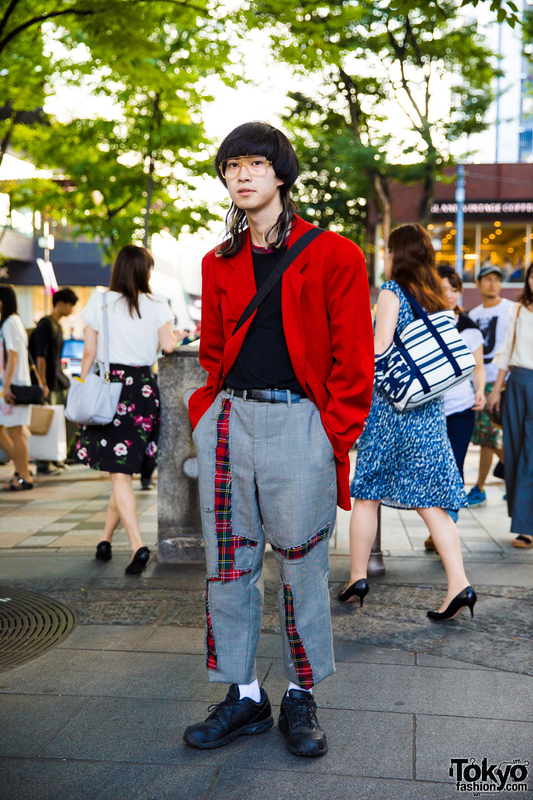 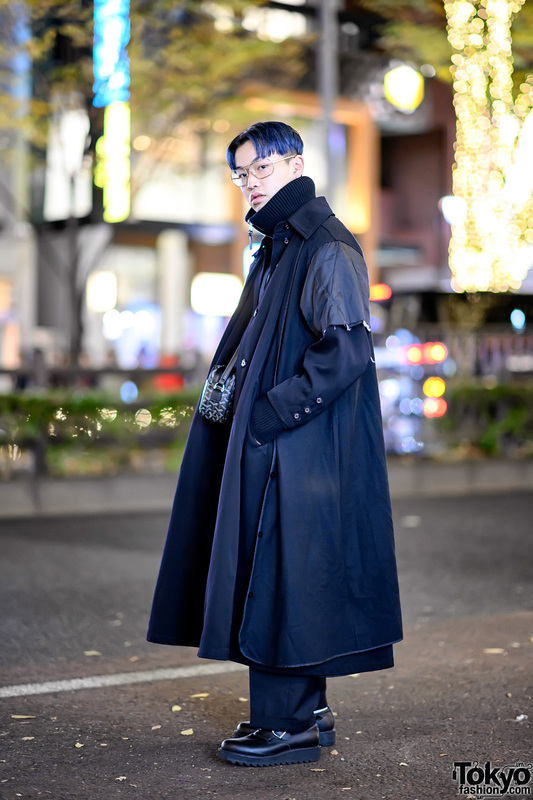 Harajuku guy in a colorful retro look sourced from various Tokyo vintage shops and Nike sneakers. 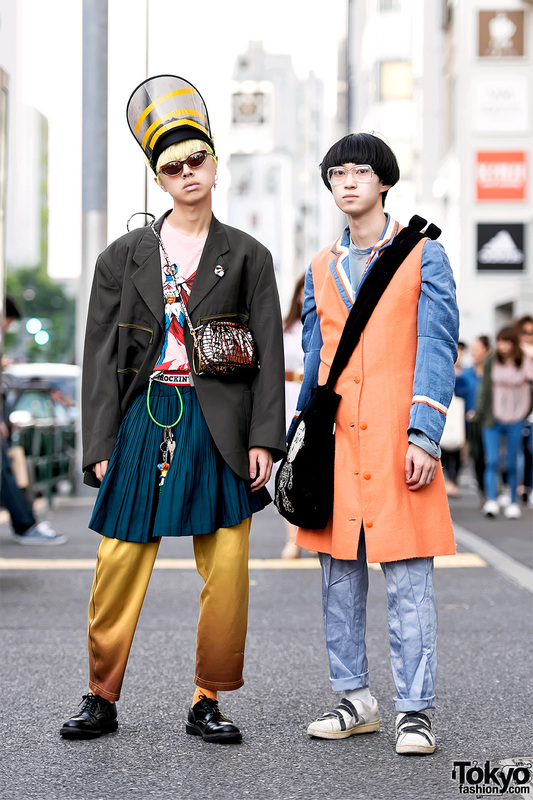 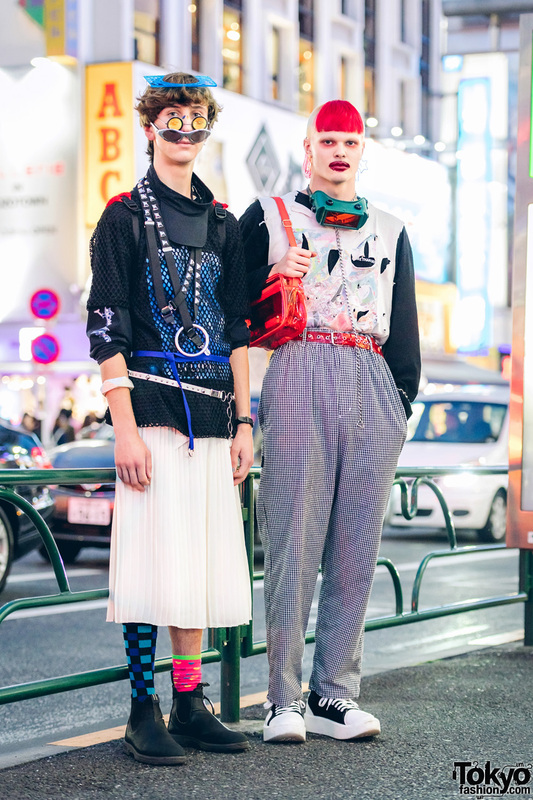 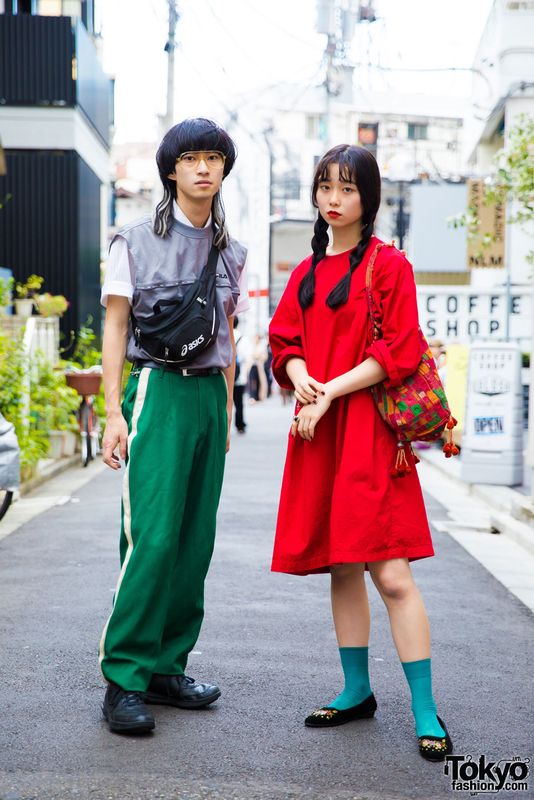 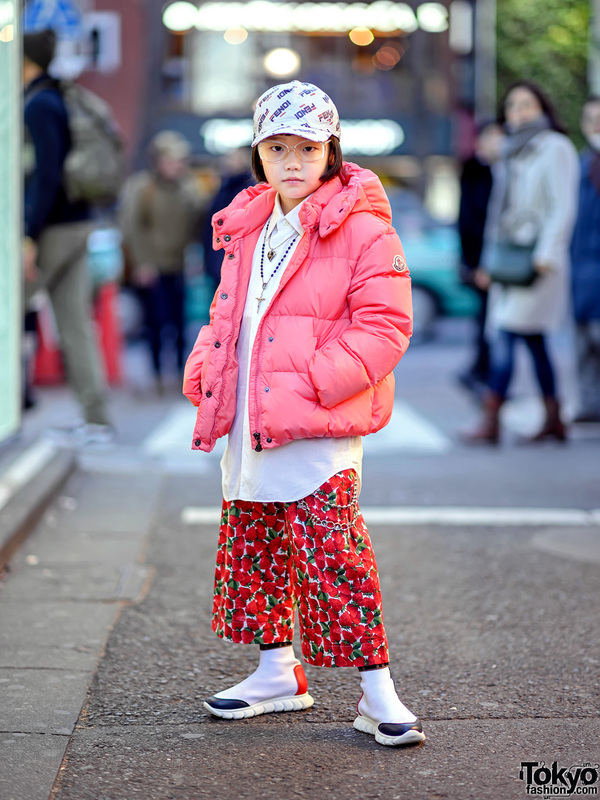 Harajuku duo in Japanese streetwear with vest over shirt, vintage pants, black sneakers, belt bag, red dress, embroidered flats, and a tassel bag.